-This 688HS style front bumper suit the McLaren 675LT and the 650s, it is produced in 100% dry carbon fiber 3k twill weave V-pattern. That structure gives to the part a superior strength & durability. 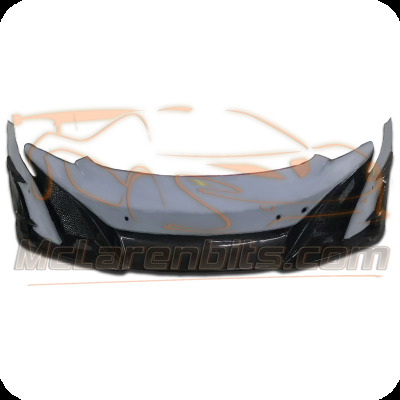 -This front bumper is a significant improvement regarding the downforce, the weight and the design. -This 688 HS conversion set is a direct replacement part for the 675 LT and the 650S; Fitted in the same way as the OEM components without modification.